I watch her walk away, this one I love; her back stiff as a wall against me. The very foundations of who I am and what I believe have been attacked and rejected by her. My heart cries out, losing sight of its true north. The needle of my faith jerks crazily, pulled awry by doubts, hurt, loss. The compass of my identity, firm in the grip of God, suddenly lacks direction and I feel as though I’ve lost my way. I am forsaken. Forsaken, renounced, rejected, estranged. For a while the capacity for this close human relationship to wound and grieve brings me down to the dirt. Tears wet my pillow at night. I rise, unable to sleep, my heart dully thudding in my chest, my mind replaying words said and unsaid. I try to understand how all the years of care, encouragement, sacrifice and love could be twisted off course so radically. Shared moments of joy, being there for each other, common memories binding us — now are shattered shards lying at my feet. For days and weeks I worry over these shards of a broken relationship, wondering how they will ever be put back together. I pray, I search the Word, I cry out to God, yet the needle of my compass still spins wildly. Doubt is a dark magnet pulling me from my true north, whispering, “Maybe you did treat her the way she says you did. Maybe your attitude was judgmental. Maybe you’ve been wrong all this time.” The father of lies squirms his way through the shards, spreading poison like blood on broken glass. I begin to realize this battle is not with me. It is a battle fought in a much greater dimension, a spiritual realm. If I believe what the enemy says and take this rejection personally, I will give him what he wants. I refuse to listen. Instead I ask the One who knows. Show me the truth. If I need to make things right, reveal them to me. Help me see what You see. And gradually the needle slows its spinning. Nothing has changed on the outside. The rift is the same and her heart is still cold toward me. But the air of my inner spirit is finally clearing and my feet are finding the right path again. “Never will I leave you; never will I forsake you,” Jesus, my true north, tells me. (Heb.13:5b NIV) I remember before when I was forsaken by someone else close to me, in the end it was Jesus who remained. He remains now, amidst the shards. Never will I leave you. Never will I forsake you. The never of Jesus lasts for all eternity. “Those who know your name trust in you, for you, Lord, have never forsaken those who seek you.” (Psalm 9:10) A compass is used by those who are seeking, to find their way. 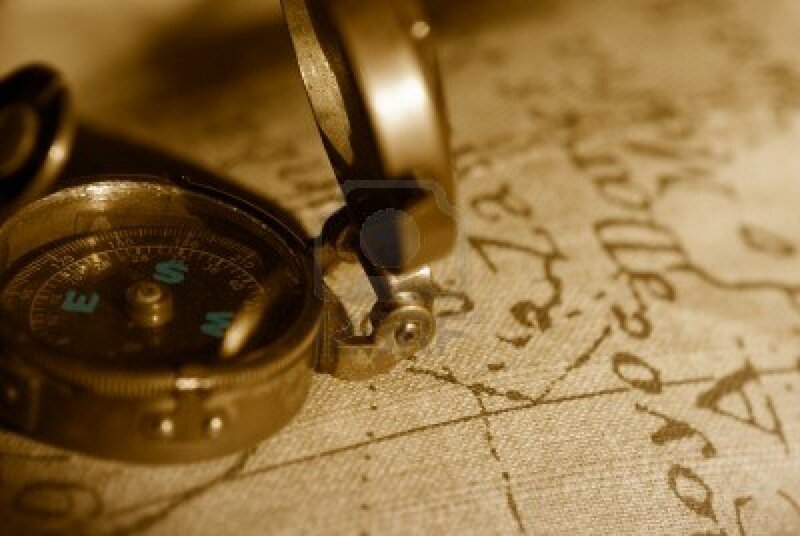 My compass was sent reeling by the blow of an earthly rejection, but true north, the absolute truth of the One who has never forsaken me, points me in the right direction again. My heart will grieve over this broken relationship until there is healing, which I fervently pray for. But my spirit, that which finds its home in Christ, is secure and at peace, its needle pointing to the true north of His unfailing love.